The Grace Grego Maxwell Mental Health Unit at Dell Children’s now offers outpatient care for pediatric mental health patients. 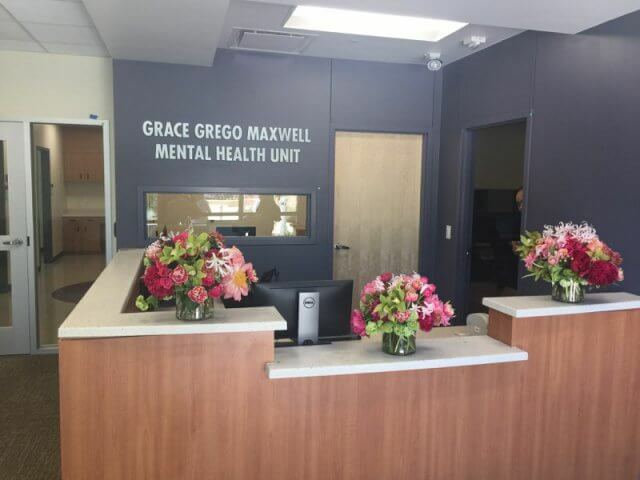 The Texas Child Study Center recently moved into the Grace Grego Maxwell Mental Health Unit. The pediatric mental health unit opened in May, with both inpatient (hospitalization) and intensive outpatient care. Since the opening the unit has admitted more than 700 children for inpatient care. Designed with children and their families in mind, the Grace Grego Maxwell Mental Health Unit provides improved access to care, reducing the stigma that families deal with when it comes to mental illness. When a child is in crisis, parents can call a 24/7 hotline to connect with a trained behavioral health navigator. An interdisciplinary treatment team provides immediate evaluation, 24-hour nursing and psychiatric care. In a dedicated pediatric-focused environment, child and adolescent psychiatrists treat conditions like depression, obsessive-compulsive disorders and suicide ideation. Dr. Roshni Koli is the new medical director of psychiatry at Dell Children’s Medical Center, which includes the hospital and all the clinics, including Texas Child Study Center. For more information on our inpatient programs for children and adolescents, please call us at 512-324-0029 or email us at childrensmentalhealth@ascension.org. Dr. Roshni Koli was recently featured in an Austin 360 and KVUE’s Spirit of Caring segment.